Back at Kaiser Permanente with my brother, this time not visiting him but accompanying him to see the surgeon. Thank God we got a wonderful report. As in the past I noticed the signs on the wall; to motivate and advertise. I saw it clearly near the elevator door, "You are the center of all we do." It hit me right away. That is what IKI is all about. 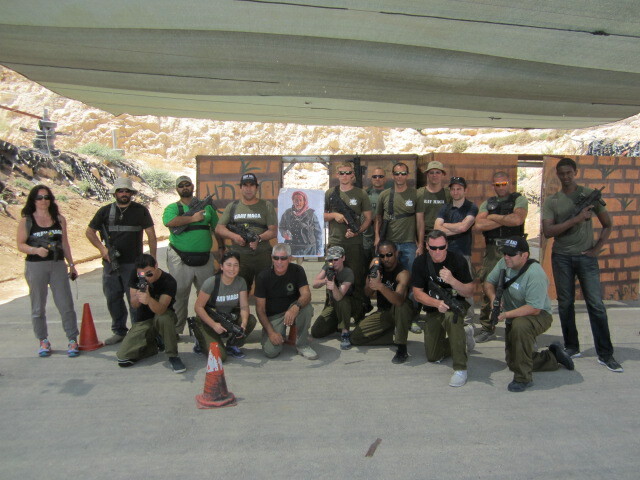 There are many Krav Maga associations in Israel, there are countless organizations popping up all over the world. (One has to wonder why anyone would join a Krav Maga association not based in Israel). And it makes me wonder, what is the difference between them? Why do so many people feel there is room and a need for yet another association, are they really offering anything new? There are many attributes that make IKI Krav Maga unique but if I had to put it in one sentence I would borrow that sentence I just saw at Kaiser. For us the difference is that YOU, the student, are at the center of all we do. When I am teaching a techniques I am thinking, "Will the students here today be able to pick this up quickly?, will they be able to use this effectively in a real life situation?" The student is the center of our Krav Maga. All we do is for that student, to get him or her home safely. When I am sitting on the plane watching people go up and down the aisle, I imagine my student sitting in my seat and I ask myself, "Will the technique I taught him serve him well? Will he or she be able to defend themselves and survive? When I look at a new product, a T shirt, a pair of training shorts, a key chain, I do not ask, "What is the profit margin on this product?" I ask, "Will this serve the needs of my students? Will this benefit their training?" We will never waver from this policy. We will never imitate the other websites or the other organizations. Let them keep the Flash and Trash approach. It is not for us at IKI. For us, YOU are the center. Advanced instructor or beginner, our program will be suited for you as we take you step by step in a logical sequence to build and upgrade your Krav Maga skills. Write us for a personal evaluation and let us take you to the next step in Krav Maga. Immerse yourself in Krav Maga for 10 -12 days and see your skills skyrocket. Defense vs knifes, handguns, long weapons and sticks. Defense in and around a car.